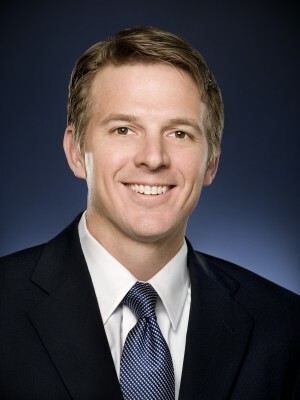 Tony Rogers serves as senior vice president and chief member officer for Sam’s Club. Tony oversees a broad portfolio of responsibilities that collectively make up our end-to-end member strategy, including membership, marketing and member experience – all aimed at making Sam’s Club the membership you love the most. Tony brings a wealth of experience to Sam’s Club. He previously served as chief marketing officer of Walmart U.S. with responsibility for all aspects of Walmart’s marketing efforts, including customer research, strategy, program development, branding and customer communications. He created the company’s first omnichannel marketing function, helped bring free two-day shipping and online grocery to life and forged integrations with key pop culture moments and figures to bring added awareness to the brand. Prior to that role, Tony served as chief marketing officer for Walmart China. His responsibilities included leading traditional, digital and social media efforts for Walmart stores in China as well as for Walmart-branded online-to-offline initiatives. Previously, Tony spent eight years in the Walmart U.S. marketing organization, where he held a variety of roles, including senior vice president of marketing and vice president of advertising. Known as an advocate for the Walmart customer, Tony helped translate Sam Walton’s words into Walmart’s purpose statement: "We save people money so they can live better." Before joining Walmart, Tony spent six years in PepsiCo's Frito-Lay division in a number of brand marketing roles on the Tostitos and Doritos brands and also on the Walmart customer team there. Prior to his marketing career, Tony was a certified public accountant with the accounting firm KPMG. Tony holds a bachelor's degree in accounting and a master's degree in business administration and marketing, both from the University of Texas at Austin.